The process to put together a federal budget begins when the President submits a detailed budget request for the coming fiscal year, which begins on October 1. This is traditionally presented to Congress on the first Monday in February, but often slips past that time. While the President’s budget outlines the Administration’s spending priorities, it does not carry any legislative weight on its own. 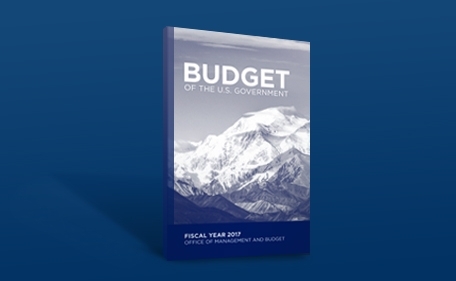 However, the document plays three important roles: 1) it tells Congress what the President recommends for overall federal fiscal policy; 2) it lays out the President’s priorities for federal programs and how much should be spent on each; and 3) it signals to Congress recommendations for spending and tax policy changes. The President’s budget is largely considered dead on arrival and lawmakers generally develop their own budget plan, or a budget resolution. Congress is supposed to pass the budget resolution by April 15, but in recent years it’s common for no budget resolution to get passed at all. Often, each chamber will pass its own budgetary resolution that outlines funding for the next year and total federal spending over a 10-year period. From there, the resolutions move to the appropriations committees in each chamber. The committees outline funding on a program-by-program basis through 12 separate appropriations bills. Recently, these measures have been bundled into one large “omnibus” bill. During this process, Administration officials are often brought before the relevant subcommittees to justify their budgetary requests. Every so often when these appropriations bills aren’t passed, a continuing resolution, also known as a “CR” is needed to continue government funding and avoid a government shutdown. The process has increasingly witnessed “riders” being attached to appropriations bills. By attaching these riders, lawmakers are often attempting to change public policy or deny federal funds for certain legislative or regulatory actions. Despite this irregular budgetary process that has prevailed over the past several years, NGA has had success in achieving policy riders that positively impact the independent supermarket industry. For instance, related to the Food and Drug Administration’s (FDA) menu labeling rule, which delayed the implementation of the rule, and the Department of Labor overtime rule. For more information on how the appropriations and budget process, or other pieces of public policy, could impact our industry, click HERE to subscribe to NGA’s weekly Capitol Checkout e-newsletter. If you have any questions, please reach out to Matt Foley, senior manager of government affairs, via email at MFoley@nationalgrocers.org.